"Caudel Builders will fill the needs of commercial and residential owners by building superior structures that exceed their expectations. We will serve as consultants to our customers providing guidance and information during their project through consistent communication. As managers of our jobs we will provide the highest quality structures through scheduling, technology, and design. We will provide a work environment that will allow employees and owner the ability to maximize their potential." 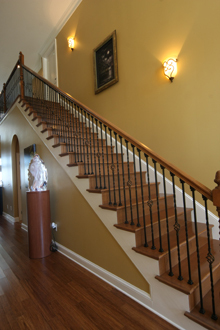 Caudel Builders is a construction company with over 35 years of experience in the construction industry. We specialize in residential and commercial construction. Please contact us with any questions you may have. We look forward to your business.